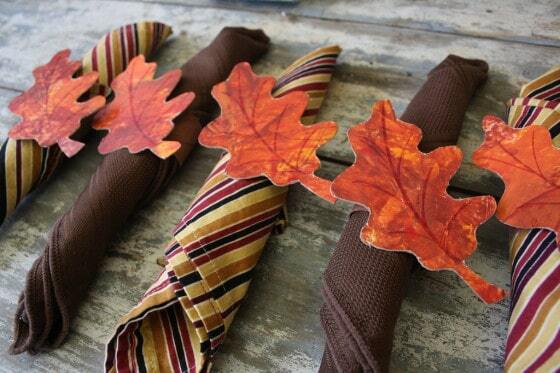 Fall napkin rings for Thanksgiving. 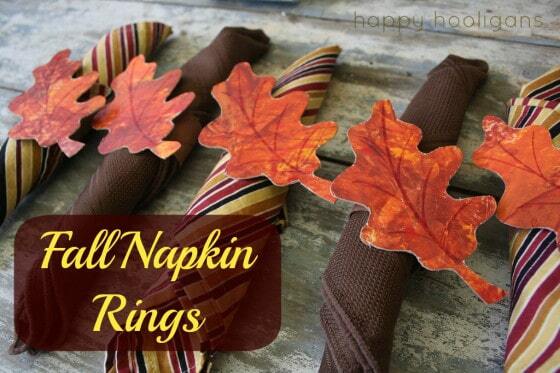 When we set out to do some fall crafting the other day, I did not have fall napkin rings in mind at all. But our project turned out so beautifully, that I couldn’t resist turning it into something that could be displayed on our Thanksgiving dinner table. 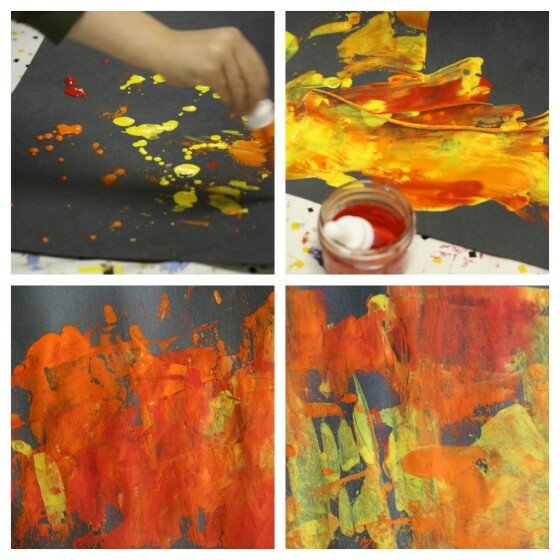 I originally planned for the hooligans to simply make some Fall Art, using fall colours and an art process that we call Scrape Painting. And they did. Aren’t they lovely? Now, while they were working on their canvases of black construction paper, I was working on white cardboard, and those autumn colours, all swirled together, were too pretty to NOT put to good use, and so, my Fall napkin rings were born. 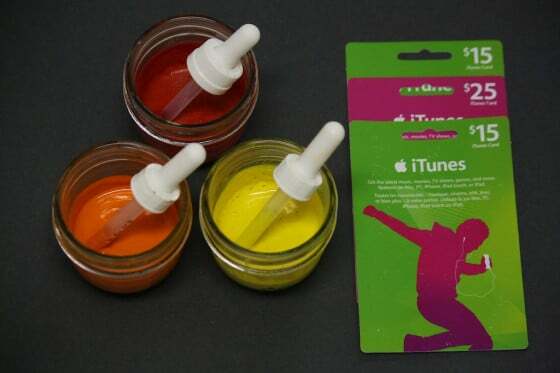 If you’ve never tried this art process before, click here to see how we paint with credit cards. 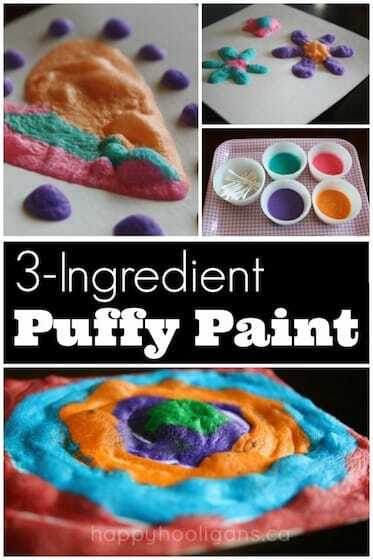 This unique colour blending technique produces beautiful results and it’s easy enough for toddlers and preschoolers to do. Ok, now that you know how it’s done, here’s what I turned the art into napkin rings. 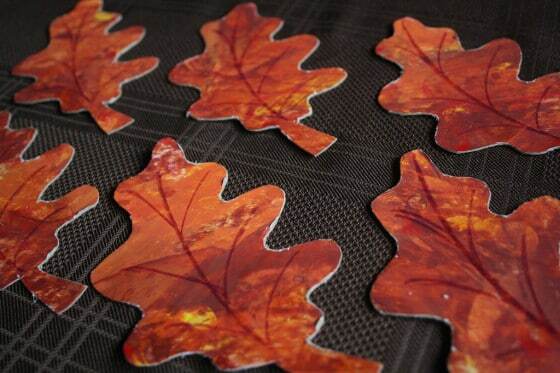 I traced several oak leaf shapes on the back of my painted cardboard and cut those out. Then with a red-brown pencil crayon, I drew “veins” on each “leaf”. Paint some cardboard tubes with brown paint. 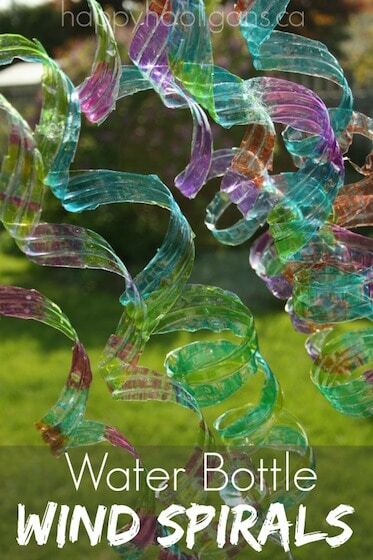 Paper towels, wrapping paper, tinfoil and plastic wrap all come wrapped around cardboard tubes that would be perfect for this project. You know I loves me a good toilet roll craft, but we’re talking about something that’s going to be inches away from your dinner plate, so you might want to consider using one of the above alternatives. 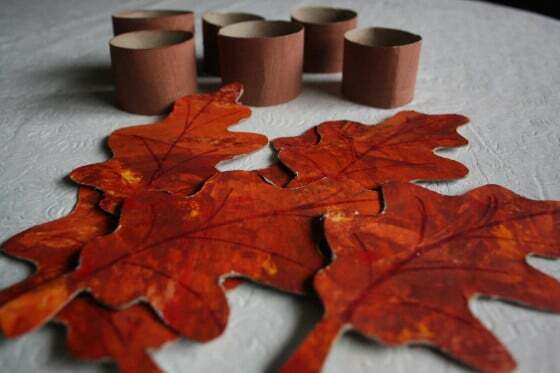 Cut your roll into as many “napkin rings” as you’ll need, and attach your painted leaf with a bit of hot glue. That’s it, that’s all! Aren’t they great? 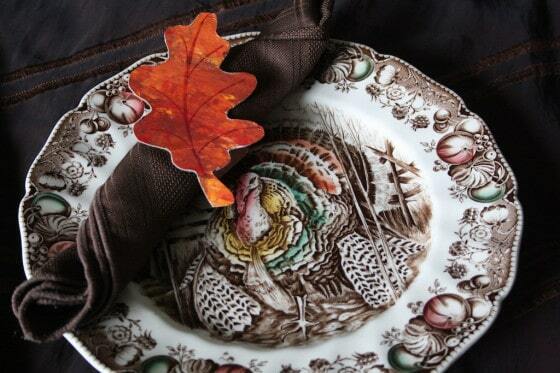 Now you and your kids can make a set of Thanksgiving Napkin Rings for your family! To my fellow Canadians, I apologize that I didn’t have this Thanksgiving craft done before our holiday, but for those of you who celebrate the holiday in November, you’ll have no problem making yours in time for your turkey dinner. 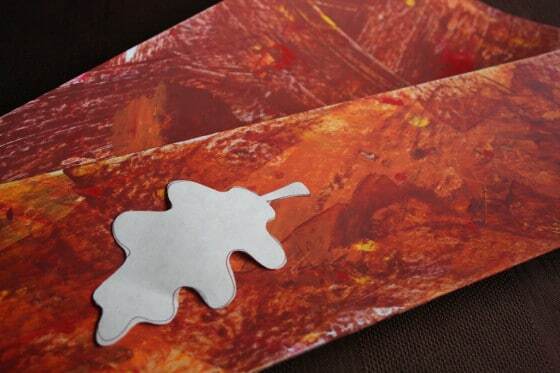 If you enjoyed this post, you might also enjoy these turkey table favours by Make and Takes. 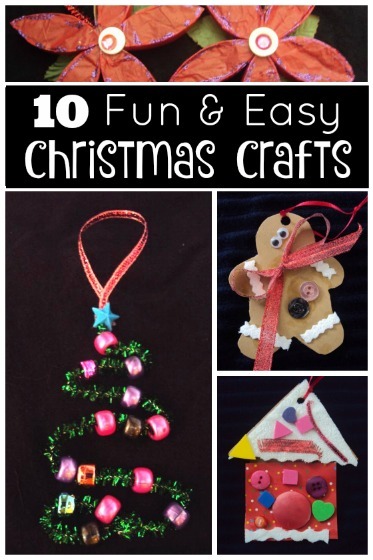 I just made these with an almost 3-year-old and they came out great! I made one variation, which was to tape pipe cleaners to the back to wrap around the napkins, rather than use the paper towel tubes. I though it would be easier for my little one to help put the napkins in herself this way and then they could be used with any size napkin. 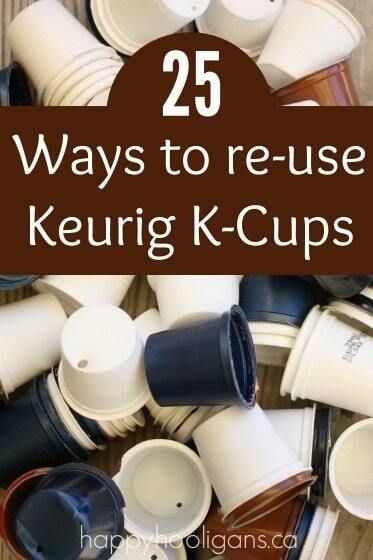 Thanks so much for the idea! Happy to give feedback and engage with you! 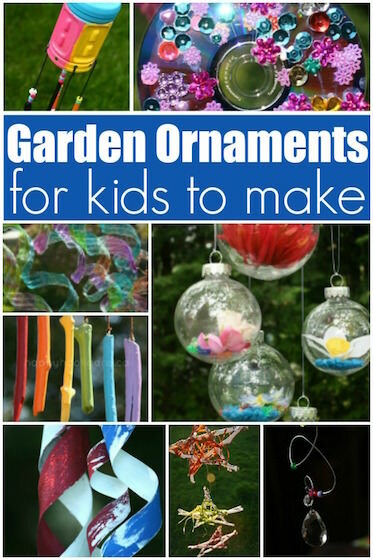 I am a nanny and I do a lot of crafting with my little ones but I was just recently alerted to your site and I’m loving it! GOSTEI MUITO DA CRIATIVIDADE PARTICIPATIVA COM AS CRIANÇAS.